Escape to the lush Caribbean paradise of St. Kitts with the Marriott St. Kitts Beach Club. 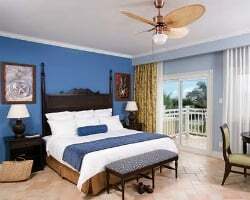 Find timeshare units priced up to 70% off with SellMyTimeshareNow.com. The turquoise waters of Frigate Bay and the scenic, rolling hills of St. Kitts provide the backdrop for this amazing vacation retreat at Marriott's St. Kitts Beach Club. With all the trappings of a traditional beach club establishment, but with impressive quality and effortless convenience, the resort enables you to craft the perfect Caribbean getaway. The Marriott St. Kitts features an incredible list of services and amenities that will accentuate your trip, including a full-service health spa, an adjacent golf course, eight amazing dining options, and so much more. 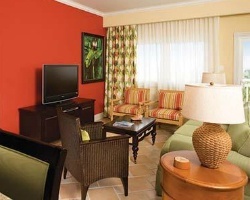 The rooms at the St. Kitts Marriott will provide you with the feeling of having your very own Caribbean beach house. The two and three bedroom villa-style accommodations are perfect for families and groups of up to ten, with some units offering more than 2,000 square feet of living space. Island-inspired decor meshes seamlessly with modern furnishings to create a comfortable and inviting stay, with common in-unit amenities including full kitchens and private balconies. If one thing is for sure, it's that you'll feel right at home at the Marriott St. Kitts Beach Club. Are you ready to call this amazing resort your home in the Caribbean? Fill out the form on this page to learn more about ownership options at the Marriott St. Kitts Beach Club, or call a representative at 1-877-815-4227 for more information. Owning a Marriott St. Kitts timeshare means you get years of great trips to the Caribbean while living the distinct lifestyle of a timeshare owner. However, buying that timeshare through the resale market can save you thousands and still give you all the great perks of being an owner at the Beach Club. Resales are sold by current owners instead of the resort itself, making prices for timeshares much more affordable. You can find luxurious timeshare units at the Marriott St. Kitts Beach Club at prices up to 70% lower than retail costs, offering travelers like you the deal of a lifetime. 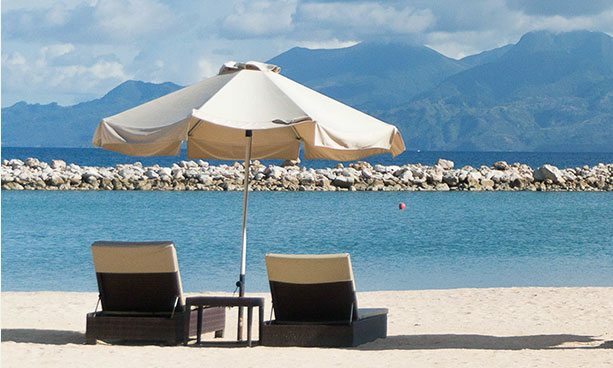 Timeshare resales at the St. Kitts Beach Club typically come in the form of deeded fixed and floating weeks, offering a variety of ownership intervals that will meet your vacation preferences as well as your budget. Additionally, timeshares fall within Marriott's Silver, Gold, Platinum, and Platinum Plus seasons. Your timeshare resale at the St. Kitts Marriott could also act as a path into the Marriott Vacation Club, opening the door to a future of great Caribbean vacations year after year. 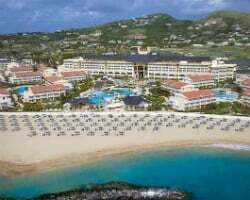 The St. Kitts Marriott resort is affiliated with the Marriott Vacation Club, one of the world's most popular ownership brands. As a timeshare resale buyer, you can start making reservations at the resort to take advantage of some club benefits right away, but you may want to consider upgrading your resale to unlock more perks. Upgrading to Marriott Vacation Club Destinations points can enable you to use points instead of timeshare weeks to plan vacations, allowing for more flexibility when planning a trip. You can also use those points to explore other vacation destinations at different Marriott resorts all over the world. The Marriott Vacation Club St. Kitts is affiliated with Interval International, one of the world's most popular timeshare exchange companies. Exchanging your timeshare can help you maximize your timeshare resale ownership, as it allows you to explore new destinations at other resorts. By purchasing a separate Interval membership, you can deposit your St. Kitts accommodations and trade for stays at comparable resorts in destinations across the globe. What's more, the St. Kitts Beach Club is an Elite rated resort, which can serve to increase your trading power and open up more possibilities for exchanging. The St. Kitts Beach Club offers a world of amazing on-site amenities and services to make your vacation experience more complete. Start at the resort's massive swimming pool complex, which is situated right next to the ocean. Catch those Caribbean rays or relax in one of the property's outdoor hot tubs at night. Don't forget to head over to the Bohemia Beach Pool Bar & Grille to grab some cold cocktails or snacks to enjoy while you're out and about. Visit the on-site Emerald Mist Spa for luxurious treatments like massages and facials, or play a round of golf at the adjacent Royal St. Kitts Golf Club if you prefer. At night, make reservations at one of the resort's excellent restaurants, like Blu Seafood Restaurant or the Royal Grille Steakhouse for traditional and unique Caribbean-inspired fare. Around the resort, you'll find the charms and delights of St. Kitts are ready for you to discover. Embark on snorkeling or scuba diving expeditions right outside on the warm Caribbean waters, or head inland to conquer the towering Mt. Liamuiga. Visit the fountain at Independence Square or Brimstone Hill Fortress National Park for unique cultural attractions. Lastly, book a trip on the St. Kitts Scenic Railway to glimpse unforgettable sights of the island and its coastline. 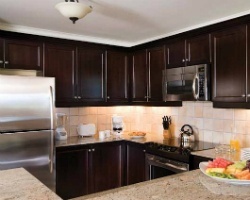 Already Own at Marriott’s St. Kitts Club?